Last week my family went to North Carolina. I would have liked to join them, but my ears were acting up so I chose to stay home in the quiet and take care of the dogs. And I missed all the fun! They drove through Georgia, South Carolina and North Carolina and ended up in a cute town called Davidson. If you are a baker, you may recognize Davidson as the home of Kindred, a restaurant famous for their bread. 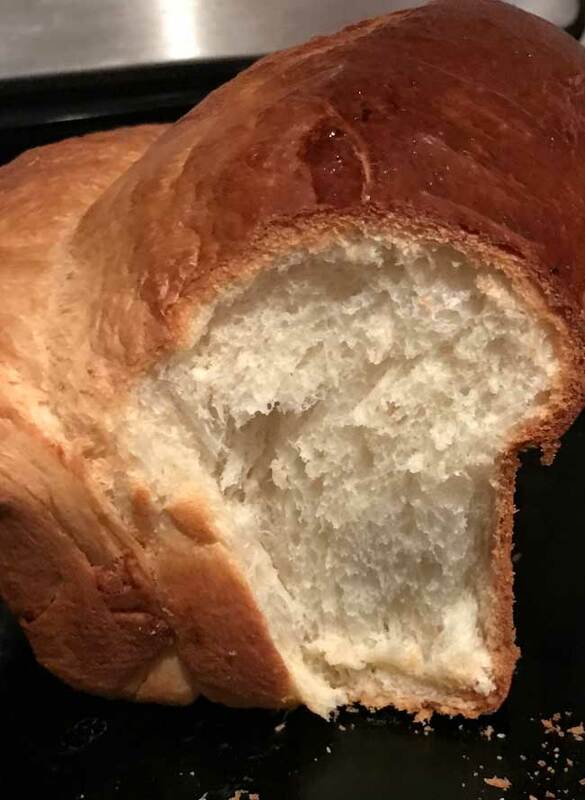 Kindred’s “Milk Bread” is a soft, fluffy, white bread made using a Japanese method of mixing a roux starter (tangzhong) in with the dough. It sounds complicated, but I can attest that it’s pretty simple because I made a batch while waiting for the family to fly home. The recipe I used is the one on Food 52, but I had to make some adjustments since I only needed one loaf. If you plan on making the full batch I recommend using the original version, but this one should work well for one 9×5 inch loaf. Just be sure to use a 9×5 inch pan rather than an 8 1/2 by 4 1/2! I used the smaller size and the loaf baked way high up over the sides of the pan. Here’s my version with some adjustments. I made one loaf and it only took 35 minutes. The original recipe says to bake the bread for 50 minutes, but most of the comments say their loaves were done in 30-40. It looks like the original recipe calls for Diamond Crystals salt. This is a less salty salt and recipes require a little more of it. If you are using normal salt or Morton kosher (blue box), 1 1/2 teaspoons should work perfectly. For the yeast I used Platinum quick rising yeast. I haven’t tested this with any other brand but Platinum, but it worked really well. I have not yet made this as rolls, but will update when I do. This has been on my list!! Thank you for the note on salt. I can’t wait for another version from you! I haven’t heard of it, and it looks delicious! Hope you’re feeling better! 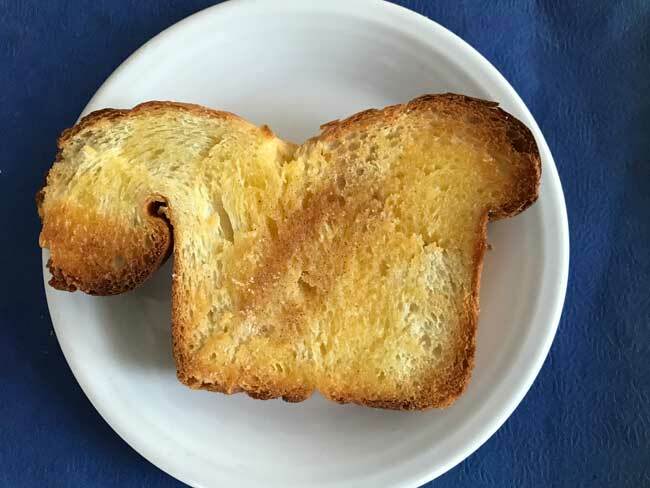 I think the shape of your toasted slice is beautiful. 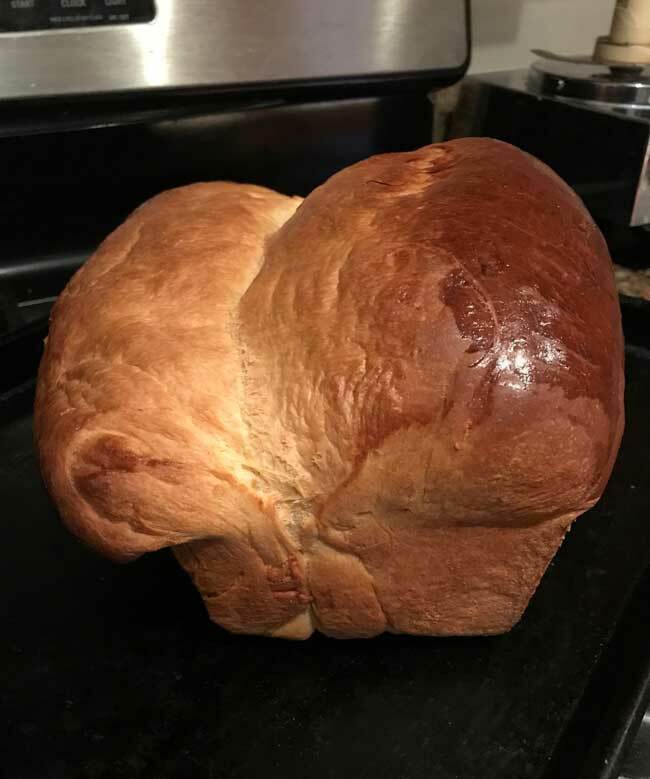 I’ve made bread using a similar recipe. It is delicious and wonderfully soft. Christopher Kimballs Milk Street tv produced a recipe for pastry using a similar technique. I’ve yet to try it.